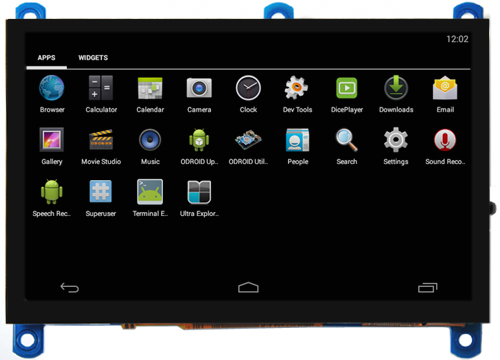 The ODROID-VU5A is your new 5-inch multi-touch screen for the ODROID-C2, ODROID-C1+ and ODROID-XU4 - with audio capability! 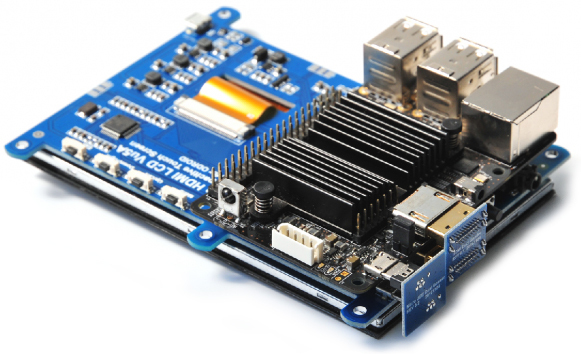 Connect the high quality 800 x 480 display to the ODROID-C2 or ODROID-C1+ via an HDMI link board and a micro-USB link board (both included) which handles power and signal. Then connect a DC plug on the C2 / C1+, once you install the latest OS update, and you are ready to play. 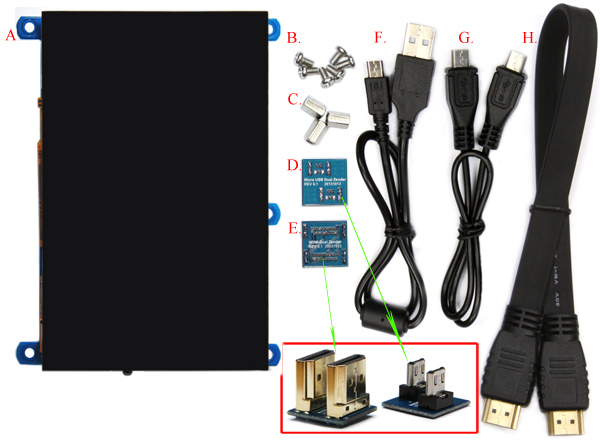 Connection to the ODROID-XU4 is by HDMI and micro USB cables (both included) as shown below. 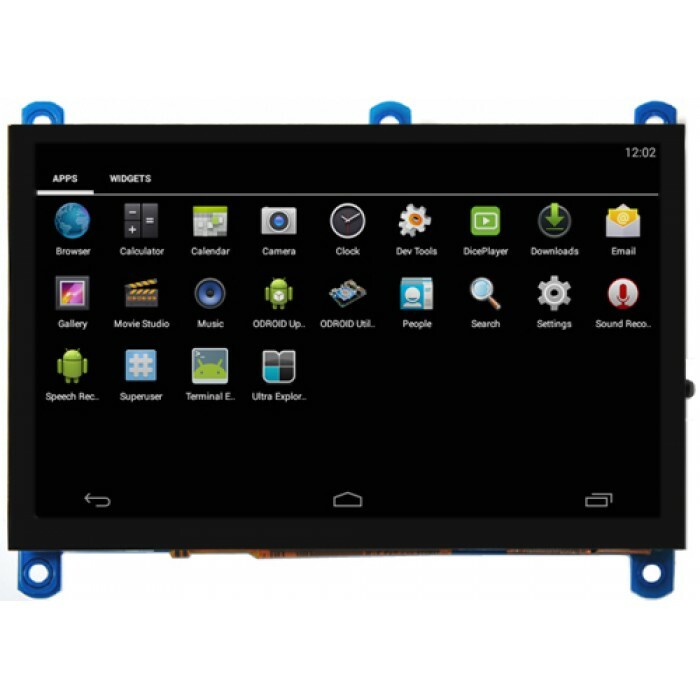 This touchscreen is designed to work with both Android and Linux. The Chromium browser supports the multi-touch pinch- zoom gesture, so you can enjoy the zoom in and out like a smartphone. The touchscreen also works with Android OS for the C1+. - OSD menu supports with buttons for power management, brightness/contrast/volume adjustment, etc. You can find four menu buttons on the upper side of VU5A. 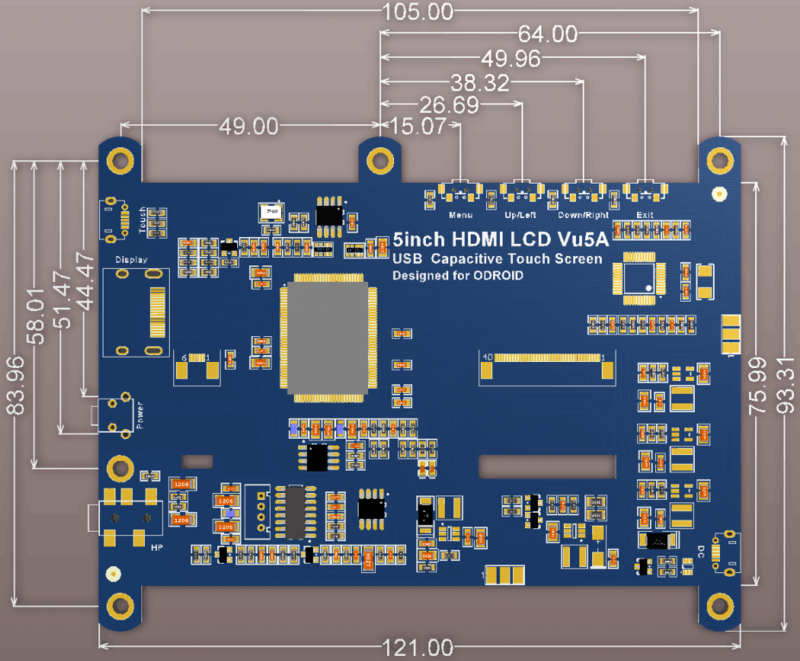 + MicroUSB port: "Touch" - First attach your board (C2, C1+ or XU4) to the VU5A with an HDMI cable. Then attach the micro USB port next to the HDMI port labeled "Touch" to provide touchscreen power to the VU5A! 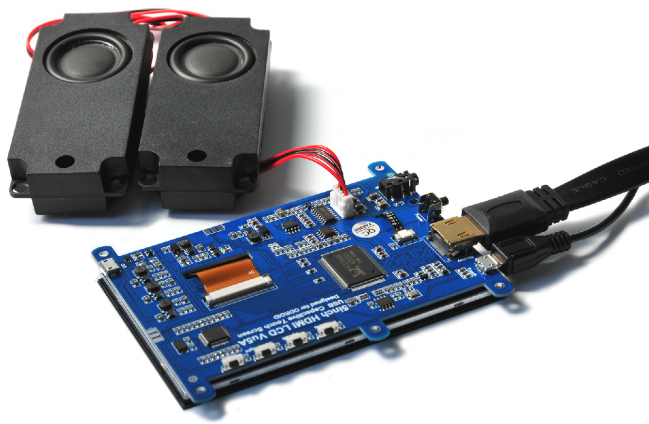 + MicroUSB port type DC: "DC" - Using your speakers or any extra power consuming devices attached to your board, you may need additional power for stable performance. This micro USB port labeled "DC" is to provide extra power when you need it. Use any standard micro usb charger, like the ones used for most Android phones.